They're great! Will users have to wait till their first "account birthday" to receive a consistency badge, (that is, if one is due them), or till the end of this year? Dakota did a great job! The earliest you could get the bronze consistency badge would be ten months after you signed up if you never missed a day. That's really cool! Thanks for all the work you guys do making Memverse better and better! :-) (Don't worry - I already think it's great, but it's aways getting better) :-) Keep up the good work! Yes, Dakota, great job on the designs; they do look really cool! Wow, neat :) Thanks for all the work you did on it, Andy and Dakota! I can't wait to earn one! EDIT-- Oh! I found it! Wow, those look great! Thank you so much! It will be a loooooong time before I'll be able to earn any. I love how when you scroll over them it tells you what they are! The pictures are so beautiful and self-explanatory, though, you hardly even need it! Sadly, I'm definitely not going to get them. I can't do this every day...don't have time! :( I want to see them though! BBJ12, click on someone's (or yours) name to go tho their profile, you can see them there! They're pretty neat. Congratulations God's Bondslave for memorizing the Sermon on the Mount!!!!!!!!! BBJ12, no problem. ;) I couldn't find them at first either. Good idea, Emily! a "1000 verses badge would be AWESOME! Thanks for the badges, Andy, an thanks for designing them Dakota! Guess I'm going to start with chapters for that Semon one. Great work, and hope we'll have more badges. EDIT: You know you are going to make my brain implode with adding more memory verses. But it's a good thing, because I have a passion for doing this. Yay!! So glad the badges are here!!! This is a little off topic, but I incorrectly entered Acts 20:1 in the KJV. I would appreciate it if someone would please delete it. Thanks! Thomas - The verse text is fixed now. Thanks. Thomas: If you go to your "My Verses" page, on the right column of Acts 20:1, it will say either Editable, Pending, or Verified. If it is editable, then you can click 'editable' to edit the verse manually. If it is pending it will be checked by an admin/user soon. If it is verified, you can click 'verified' and it will be flagged with an error for an admin/user to check out soon. There should be a "Psalmist" Badge. You could get it after you have memorized so many chapters of Psalms. There could also be a "Historian" Badge. You would get this one after you have memorized so many chapters from Genesis through Deuteronomy. I think it would be cool to have a badge for memorizing so many complete books of the Bible. The badge idea is great ! I think a progressive badge reward system would be encouraging as well. Along with other achievement badges. I have experienced that if you give people something to shoot for, a goal, then people try harder. I think giving achievement badges at low levels would help encourage those just starting out in their memory work, to feel like there making progress. The Newbie's that are just starting out, may take a look at the Veterans here that have thousands of verses memorized ( God Bless em) and think " Geese I'll never catch up or ever get a badge" I think encouragement in progressing is the name of the game here and helping others to do the same, and I think the badge system could really be a fun incentive. Can we get a nice sound affect as well when we reach an achievement ? DING! Anyway just my 2 cents. Thank you and God bless you! I like all the badge Ideas :) especially John projects idea...nevery 100 verses or something? John- that's just what I was thinking I Am fairly new and it will take me a long time to get any of these badges. Maybe there could be a new member badge, that you would get after you complete you first memorization session? I agree with the basic Badge premise that these need to be rare and difficult to achieve, making them well-earned. They have more value the harder they are to achieve. It doesn't sustain their value well if they could be given out like token trophies for participation, etc. Maybe there can be "Ribbons" for easier accomplishments, like just starting; first 100, then 500, 1,000, etc. ; first chapter; an entire book (of the books containing 3 chapters or less). 1) The Entire Book Badge -- BRONZE: For memorizing a book with 4 - 9 chapters in length; SILVER: For a book with 10 - 19 chapters; GOLD: For a book with 20 - 34 chapters. PLATINUM: For a book with 35 or more chapters. 2) The Genealogies Badge -- BRONZE: For those who successfully memorize the combination of the Genesis 5, Matthew 1:1-16 & Luke 3:23-38 passages that list some of the basic and more well-known genealogies. SILVER: For those who, in addition to the Bronze passages, also memorize Genesis chap. 10, chap. 11:10-32, chap. 25:12-17, chap. 35:23-26, and chap.36, as well as Exodus 6:14-25 and 1 Chronicles 1-2. GOLD: With all the above passages, add 1 Chronicles 3-8. 3) The Inheritance Badge -- BRONZE: For those who memorize the cities and borders of 7 of the 13 tribes of Israel (Joseph had a double inheritance with Ephraim & Manasseh), listed in Joshua chap. 13 - 21 (not including Judah or Levi). SILVER: The former 7 tribes, plus 3 more, which can include Levi & its allotted cities and borders. GOLD: The former 10 tribes, plus the final 3, including Judah. 4) The Atonement Badge -- BRONZE: For those who memorize from Christ's entrance into the Garden of Gethsemane to pray all the way through His death, burial & resurrection and to His ascension in the accounts given in Mark & Luke. SILVER: With Mark & Luke, adding Matthew's account; GOLD: With the first three gospel accounts, adding John's account. 5) The Levitical Badge -- BRONZE: For those memorizing all the laws and instructions related to offerings and sacrifices in Leviticus (i.e., sin offering, trespass offering, heave offering, peace offering, burnt offering, grain offering etc. ); SILVER: All offerings & sacrifices, plus all the laws regarding diet/food, unclean animals, leprosy, and feast days; GOLD: Add the ceremonial laws listed in Leviticus 19 & 20. These are just some suggestions, but they would be quite difficult to accomplish; they would also help along those who intend to learn all of Scripture in Its entirety. These could be some good incentives.?? I have been on Memverse since July,, but I have been slow in memorizing verses-only recently memorizing my 100th-so I think John project's idea for badges at certain numbers of verses would be a really good idea. There are some great ideas here! I like the idea of being able to get a badge or two no matter which 'style' of memorization you go for. There should be trophies, badges, and ribbons (which Wretched man suggested). Badges take moderate work to obtain, ribbons are take some (but not too much work), and trophies which would be the ULTIMATE achievement, taking lots of work. There could be a badge for memorizing one verse from every single book of the Bible. I LOVE the badges idea! Wow! Amazing! Thanks you, Dakota, for designing them! I can't wait to see them all! Will you make leader boards for the different badges? Or would that be just too crazy? One more thing, along with the Sermon on the Mount badge, there should be badges for other passages of scripture. Someone mentioned the Ten Commandments. How about 1 Corinthians 13 also? LOVE these ideas!! I am especially excited since I am planning on memorizing the entire Bible and therefore will get... well, all of the badges for memorization of passages. True, these badges are not necessary, but they sure are a great incentive! And also, with such a high bar for the "Referrer" badges, I'm sure many more people will be joining Memverse soon! And on that topic, will all of the referrals need to be active? Or could we just do it where you can count each referred person as a referral, whether they or active or not? I'll be thinking about some suggestions for new badges... This will be so cool!! 1) A "Longest Chapter" Badge for memorizing Psalm 119. 2) A "Longest Book" Badge for memorizing all of the Psalms. 4) An "Entire Bible" Badge for memorizing the entire Bible. P.S. Thanks, Dakota, for designing the first few badges! Congratulations to God's Bondslave, Jonathan Staddon, Phil Walker, Barak Lundberg, and Kelsey Kemerly for being awarded the Sermon on the Mount Badge; and to MarcWMills for being awarded a gold Consistency Badge... keep up the good work! Wow. A gold Consistency badge is amazing. Definitely congrats for only missing 15 days in the past year, MarcWMills. There should be a badge for memorizing Hebrews 11 - a "Hall of Faith" badge. There should also be a badge for memorizing the 100 popular verses on the popular verses page - a "Top 100 Verses" badge. @ Andy- Could the memverse team work on making a "ribbon" system (which Wretched Man suggested), similar to the badges system, only easier? Also, are there any upcoming badges? There should be Group Badges - you would get them when you memorize a group project, e.g. 1 Peter for the Memorize 1 Peter Group. Great badges, Dakota! I had been slowly adding the Sermon on the Mount, but with the new Sermon on the Mount badge, I just added Matthew 6-7 and I am planning to start perfecting them right away! There should be a badge for memorizing each book of the Bible. I've wished before that there was a way to put on the Home Dashboard when someone has memorized a book when I memorized 1 and 2 Peter. That might be a good way to do that. EDIT: There should also be badges for getting exceptional scores with the Reference Recall/Accuracy Test. Maybe 90% for Bronze, 95% for Silver, 99 or 100% for Gold? EDIT EDIT: One more thing: Could there be a column on the leaderboard for how many badges each user has? @Emily Hamilton: I like the 1 Corinthians 13 badge idea :) Maybe a "Love Chapters" badge for memorizing 1 Corinthians 13, and maybe Galatians 5:15-26? Ooooohh Idea! Maybe there could be a "Blessed's" badge when you memorize Psalm's 1, Matthew 5:3-12, and Proverbs 31:10-31. 1) A "Creation Story" badge for memorizing Genesis 1:1-2:4 or so. 2) A badge for each book of the Bible memorized. There should be a Romans Road badge. Also, when you mouse over a badge under Account, you should see the requirements. Wow, these are great ideas for badges, guys. I really like Wretched Man's suggestions about things like whole books and genealogies. It would keep them pretty hard to attain (except for if you memorize 2 John or something like that:) and also encourage people to maybe memorize some lesser-known parts of Scripture, like the ceremonial laws. Personally, I like the idea of making the badges something really hard to get, but then also having "ribbons" for smaller goals along the way. Congratulations, Jonathan Staddon, on memorizing your 1000th verse! May you continue to hide more of God's Word in your heart! 1) A badge for each section of the Bible memorized, including a "History Badge", "Wisdom Badge", "Prophecy Badge", "Gospels Badge", and "Epistles Badge". 2) A badge for each half of Scripture memorized: "Old Testament Badge" and "New Testament Badge". How about badges for memorizing certain numbers of chapters? Maybe we could have badges for tagging a certain percentage of our verses--bronze for 90%, silver for 95%, and gold for 100%? Sounds like a great idea! I was just wondering why they show up on my dashboard already, but I guess they will "brighten up" or whatever when I actually earn them? Thanks for the Great website - I really do memorize more scripture this way! I agree with follower of God....a badge for memorizing the old testament and/or the new testament. Also, I think there should be one for memorizing all of the gospels, or all of the Pentateuch. I love the incentive these things bring! How do you complete a memorization session? Can you earn bronze, silver, and gold Consistency badge? "The second badge is the 'Consistency' badge which will be awarded to people who consistently complete their memorization sessions. To earn a gold badge you will need to complete 350 memorization sessions in a year. The silver badge will require 325 and the bronze badge 300." Are you talking about having all three of them at the same time, Abigail? If you are, then I don't think so. I think you can only have one badge at a time. @Zach - We are answering different questions, so that's why my answer differs from yours. Who will be the first to get all of them??? WHAT?! The sermon on the mount is the entire 3 chapters? That's crazy! BBJ12 ...why is that crazy? 1) As Jackie Chase mentioned earlier, badges for memorizing certain amounts of verses--how about 1,000 verses for a bronze badge, 5,000 for a silver, and 10,000 for a gold? 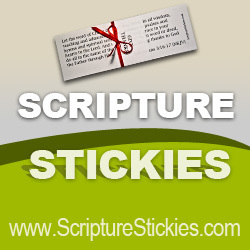 2) For the ones who do not plan on memorizing huge portions of Scripture, we could just have "Chapter Ribbons"--a small one for memorizing a chapter with 15-29 verses, a medium one for a chapter with 30-59 verses, and a large one for a chapter with over 60 verses. 3) Small medals for easy feats--such as passing level 5, memorizing 100 verses, referring 5 people, raising accuracy to 40% or reference recall to 75%, etc. 4) Instead of badges, how about trophies for huge feats such as memorizing the Old or New Testaments, an ultimate trophy for memorizing the Bible, and maybe one for referring... 500 people?? So, I propose that we should have medals for easy, ribbons for a little hard, badges for quite hard, and trophies for really hard. Are these good ideas? This sounds great. I don't have any of these badges yet and won't have any for a while but am looking forward to getting some. Congratulations, Hope, on memorizing the Sermon on the Mount. I have loved those 3 chapters for years. I wrote a play called Sermon on the Mount where one student quoted all 3 chapters and other students acted out scenes illustrating many of the verses. Many of the scenes can serve as stand alone skits. The whole play can be found on Youtube by searching for "Sermon on the Mount Upton Lake Christian School"
I like this! I am motivated now to working my way towards the Sermon On The Mount by Labor Day! And the consistency badge has me making sure I get on here every day to memorize and add more verses if I don't have any for review. SBG - did you complete your entire memorization session for today? If not, try visiting the progress graph page ('My Progress') and that should trigger it. YES!!!!!! I have my first badge now!!! Thank you!!! WOW!! How long have you been on Memverse? I've completed 287 sessions, but I don't have a badge. Is there a reason? @Rachel: you need to have completed 287 sessions in the past year. The number reported on your account page is for all time. The number you see at the end of a memory session is the number you have completed in the past year. Thank you....alright, that makes sense. Speaking of this, I just got a bronze Consistency badge... but I have only done 293 sessions in the past year, not 300. I've noticed that a lot of people have been getting bronze Consistency badges in the past day. Is there a glitch or something? @Nicolas - They changed the post to this - "To earn a gold badge you will need to complete 350 memorization sessions in a year. The silver badge will require 320 and the bronze badge 280." Congratulations on getting another badge! I like SBG's ideas about the ribbons, medals, and trophies. Just an idea. Can't wait for more badges. My little brother suggested that maybe you could make an Armor of God Badge for memorizing all of Ephesians 6:10-18. Or, as has been suggested before, different badges could be made for chapter memorization, based on the length of the chapter. there are a lot of GREAT ideas for other badges... are there in really in the works?? also as far as the consistency badge is that going to reset on Jan 1 2013? or is it figured on an individualized plan by when you joined? today i memorized my 600th verse! really love the memverse program that is helping me learn and recall God's word! thanks to all who keep this site going! I can answer the question about the Consistency Badge: It's based off the last 365 days, not the present calendar year. Alex - I thought I had heard somewhere before that when we memorize our 1,000th verse, we're able to delete our own blog comments. I've memorized over 1,000 verses, but I'm still not able to. It doesn't matter that much, but I would like to be able to delete some of my old comments that are outdated. Abi - Yes, that's correct. 50 for bronze, 100 for silver, and 200 for gold. a good badge might be the learning badge. 500 verses learning for bronze, 1,000 for silver, and 2,000 for gold. Praise God, Abi. Great to hear of others excited about sharing the word about Memverse. The key to a high referral score is to refer some who then get so excited about Memverse that they in turn tell others about Memverse and your score keeps going up. That's great, Abi!!! I'm working on mine too but I'm stuck at 342 sessions. I guess I'll have to hit a few more days that I missed last year. How about a ten commandments badge? I wondered what the badges were for! Thanks for the 411. You should do a chapter badge, and you get it after you memorize any full chapter and a book badge that you get when you memorize a whole book of the bible. If someone receives a bronze Consistency Badge, when he/she has enough to get a silver or the gold one, will it change? I think that the picture inside the Badge changes to reflect the bronze, then silver, and finally the gold. I believe that they do it with numbers. What about a badge for memorizing a certain number of verses out of every book of the Bible? How about a badge for memorizing the Christmas story in Luke? Or a badge for logging on ever day for a month? Or make a verse of the year and a verse of the year badge? Or a badge for a church? Fir being 1 on the church leaderboard? If there were to be one new badge, I'd go with a memorizer badge. Bronze for 100 verse, silver for 500, and gold for 1,000. (Or bronze--500, silver--1,000, gold--2,000 for over-achievers!) Similar to what John project mentioned earlier. There are so many good ideas here. I hope that some of them are picked up. I like the concept of a graduated system: ribbons, badges, trophies. To keep people motivated there needs to be a way of hooking people in and giving them early and continued success. Can you lose a consistency badge? Are there plans for new badges?? I recently discovered MemVerse website. What a great tool! I was reading about badges and I had a great idea for a new badge. John 13 - 17 is Jesus spending his the last hours before his death with his closest friends. It is a beautiful time where Jesus is sharing His last thoughts and preparing them for the end...and the beginning. I have in the past attempted this work, but could not quite get it...many words to get perfect at once. I would call the badge something like "A Final Goodbye...But Not!". Something clever like that, but i am not so clever. So someone may have a better name. What do you think? When are we going to see some new badges? I was wondering if maybe they could bump the number of referrals down for the referral badge. It's almost impossible to get 100 referrals, let alone 200. And it's hard to keep referrals active, too. @Abi - I know this is exactly the wrong place to be posting something like this, but just to let you know, you've been really missed on the forums! We want you to come back!! I agree. A badge for Psalm 119 would be a good idea. I'm curious to know when we get a gold badge. I joined March 19 last year and I now have 353 memorization sessions logged in my account, but I still only have a bronze badge and I'd like to know when I "upgrade" of sorts. What about a badge for the number of the books of the Bible, or chapters in the Bible you memorize? Bronze for ten, silver for fifty, and gold for one hundred? Hope to see new badges soon! Alex or Andy or anyone - are there any plans for more badges? Yes, Andy and/or Alex - just shoot me an email if you'd like me to design a few more badges. Alex or Andy, are there plans for any more badges? I would like to have some more badges to try for. Hi, so my mom does memverse and has completed her 280th day (in less than a year) and hasn't received her badge. Have the numbers changed for receiving it? How long does it take until you receive the Sermon On The Mount badge? Jordan - you should get it as soon as you memorize Matthew chapters 5-7 (and it loads that information). If memverse does count Matthew 5-7 as memorized and your badge hasn't shown up you can report the problem by clicking on the "Feedback" tab on the side of your screen. Well, since there is a badge for how many sessions you have in a year, can there be a badge for how many verses you've memorized in a year? Just a thought. Maybe 5,000 for gold, 3,000 for silver, and 1,000 for bronze? I think that sounds like a good idea, Nicole! I like the idea with ribbons, badges, and trophies, too! I think that we could maybe get a badge for memorizing all our local Bible Bee verses on Memverse maybe before the 23rd of August. I just thought that we could maybe have a Last Supper badge. I don't know if that is all of the last supper in John, it might be from John 13-John 18. If it is then it would be very hard to get gold. There could be a Love badge? Or maybe instead of badges as some people were saying above, you could get ribbons, whatever color yall's decide on for 1 Corinthians 13:1-4, red for 1 Corinthians 13: 1-8, and blue for 1 Corinthians 13. If Andy and Alex like it. Oh and when are we going to get new badges, or ribbons?? Just a suggestion. It might be encouraging to organize the badges so there an easy one or two, and then get progressively more difficult. I love the idea of having a set # of verses memorized badges that gets progressively more difficult (10, 100, 1000, etc. ), like the "miles walked" badges on fitbit. There might need to be more than three levels, though. That way everyone can get a boost of encouragement. Once you meet one milestone, somehow it gives you the momentum to work on the next one. I memorized the Sermon on the Mount, but the badge did not appear. Have I overlooked some step? @Twilah Click on Account and scroll down to where it says "Complete Chapters." Does it list Matthew 5, 6, and 7 all as memorized? I just finished Memversizing the Sermon on the Mount as well, yet did not receive a badge. Edit - Aha, there it is. Just curious, but how do you get the 'Top Referrer' badge? Cause I don't know how you know if somebody was referred. Edit-Never mind. I found out how to do it. Thanks though. Edit- I will try to earn badge #2 first! Oh yes, a ten commandments badge would be perfect! Thank you, Abigail! And yes, Larry Davis and Crystal, a Psalm 119 badge would be awesome! Edit-And I know this was already asked.So guys, this shouldn't be here but i'd like you to start up chats and comments again! Oh, and PLEASE ADD MORE BADGES.THERE ARE SO MANY GREAT IDEAS! Abigail? Larry Davis? Crystal? Where are you?! ATTENTION, EVERYBODY! IT'S TIME FOR A CHAT! @Avo Hi! As you've probably discovered, they're aren't many people left to chat. They've all grown up and gotten jobs, most likely. If you'd like to chat, the best place to go is the Memverse Forums. Go to the top of the screen and slide your mouse over Blog and you will see that Forum is one of the choices below it. If you press on it, you'll find the forums. The verse problem is not actually a problem. The first time you do a verse, it comes back in 4 days. Once you do it again, it comes back in 9, and then 21 days. Once you do it for the 4th time, it is considered Memorized. Hopefully that helps! :) Happy memorizing! I see that you have memorized many chapters and learning many chapters. Also, you have the "Sermon on the Mount" badge and your "Ref Recall" and "Accuracy" are 100%. Keep up the good work! (8-. I memorized 3 verses today!!!!!!!!!!!!!! Oh, that's too bad. =/ I hope maybe they can update it to include the NNV. Nice job! =) Keep it up! I know! So, how do you think we should start? By the way, if you look under Bible Bee in Forums, and click on the topic I made, you'll find that I'll have a question for you. And, can you share that topic? I think I have an idea. Go onto the Forums, look at the top, and you'll see what I mean. But first......... Congrats on memorizing your 1000th verse! What happened to adding more badges over time?